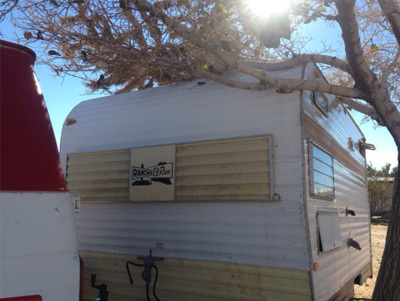 If you are visiting Joshua Tree, California this Winter, be sure to see the work completed by Laura Wright (DANM '13) during her artist residency for The Trailer Project in Rancho Paradiso. The residency gives selected artists the opportunity to outfit a 1960's travel trailer as a "permanent functional installation". Laura will be installing an iteration of her DANM MFA Thesis work, Radidio. Congratulations Laura!